The Scorpion builds further on all of the technologies seen in the lower models. It consists if 16 x HCT Oxygen Free Copper Conductors arranged in 4 individual CCS tubes, in each one the conductors are wound in helical spirals. The Scorpion Interconnect is also fully screened with a floating conductive carbon tube (CCST) to ensure no unwanted interference is picked up, the screen is terminated with a 4mm socket to allow connection to our energy removal system (ERS) to ensure minimal interference with the conductors and to ensure absolutely no unwanted interference is picked up. 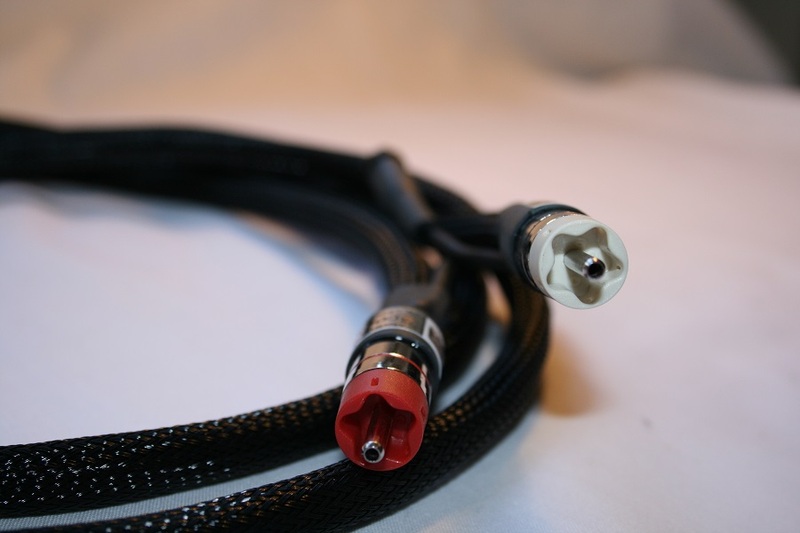 Scorpion Interconnect cables are now terminated with 75ohm low contact RCA plugs to provide stunning connection quality over and above the Verdi and most other models on the market. Scorpion Interconnect is also available as a balanced XLR version. In blind listening tests we found that the sound it gives is beautifully clean and rhythmic with great definition and depth with a sweet but detailed clarity and truly high end refinement and class. Everything normally associated with Merlin Cables and we are very proud of the levels of sound we achieve with this product.